All the comments that I made regarding the bottle, box and cost of the ink in my Kaweco Pearl Black Ink Review apply to this case too, so I shall not repeat them here. 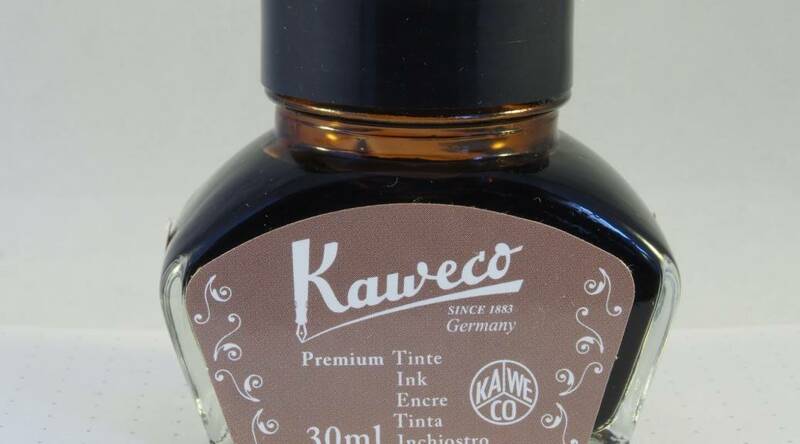 The only difference in this case is that the front and top labels have white text on brown, matching the colour of the ink. 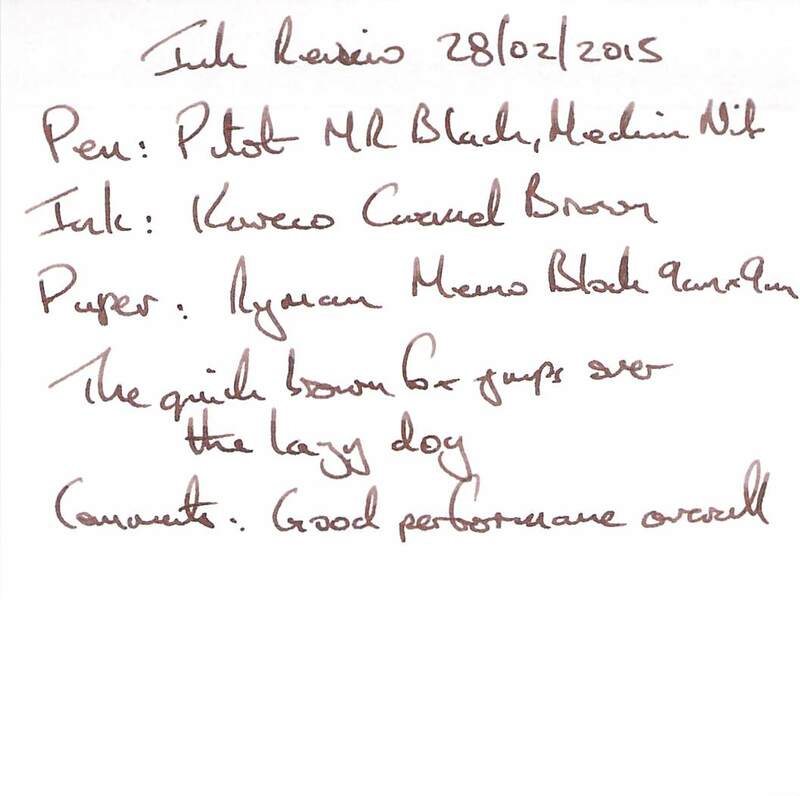 The test pen was a Pilot MR in black with a medium nib. 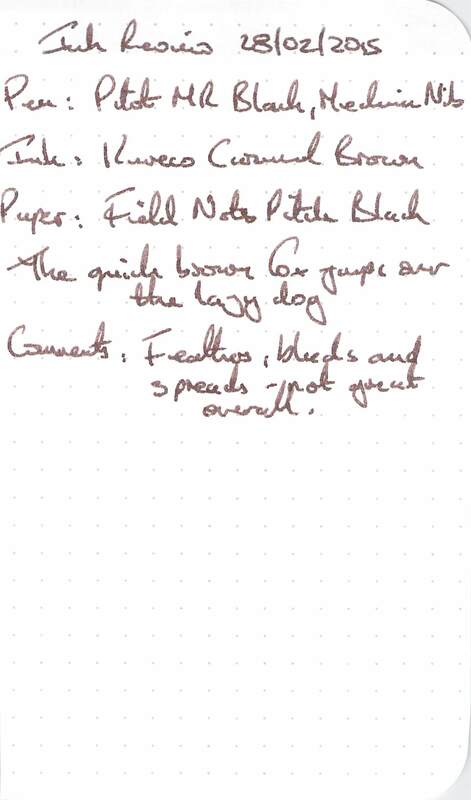 Water resistance was almost nil – only very faint lines were left after holding a writing sample under running water, and text was obliterated by water drops. 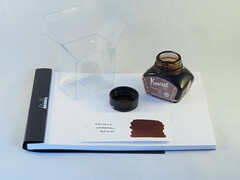 Cleaning was easy, presumably a result of the low water resistance of the ink, but was interesting for such a dark ink. A good writing experience but the colour isn’t for me. 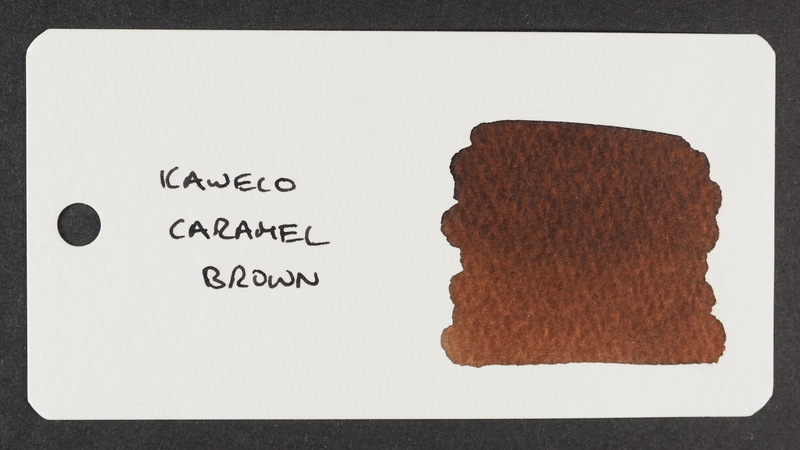 The shading is interesting though. A good performance on this paper. 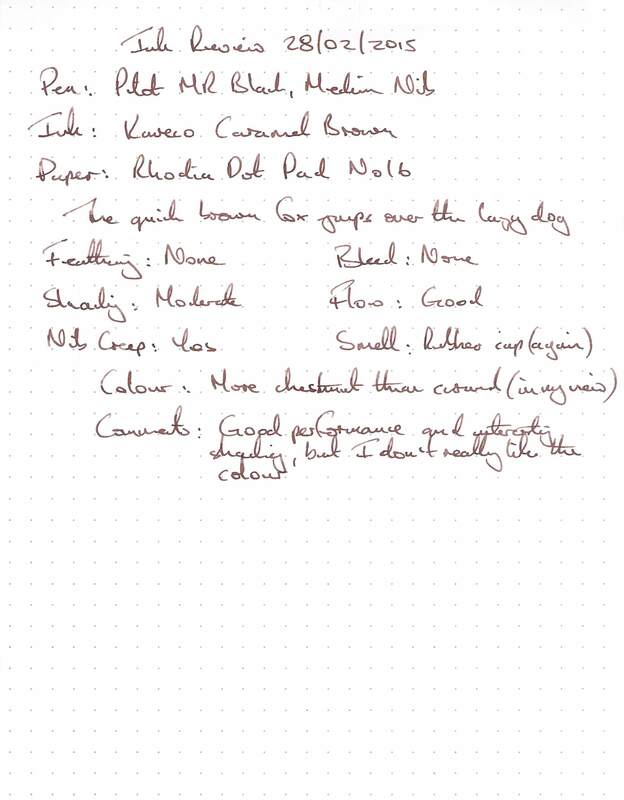 Performance was okay on this paper. 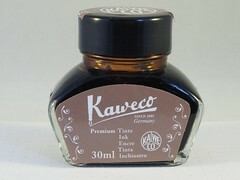 More spread, bleed and feathering than most of the other Kaweco inks. 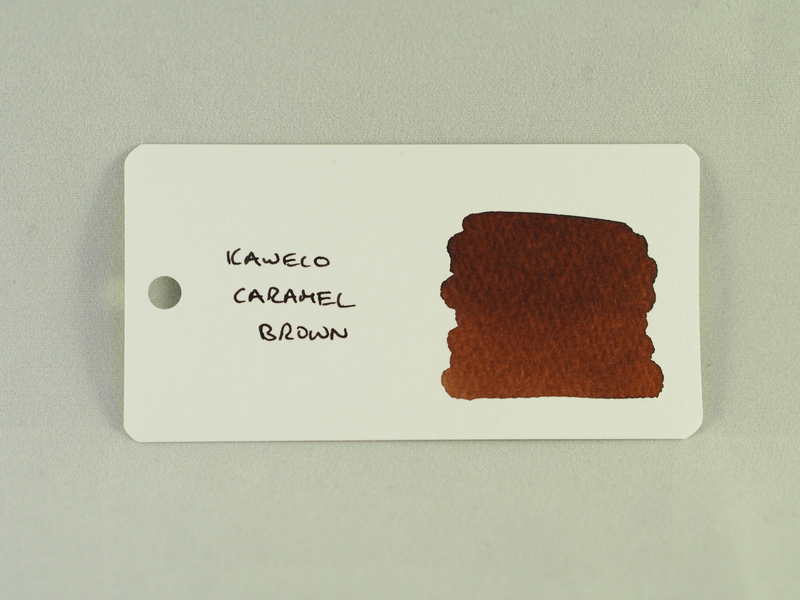 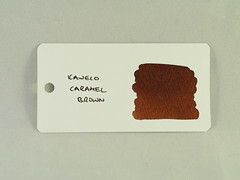 A rich dark brown similar to the writing samples. I wouldn’t really call this a caramel colour, more a chestnut brown. 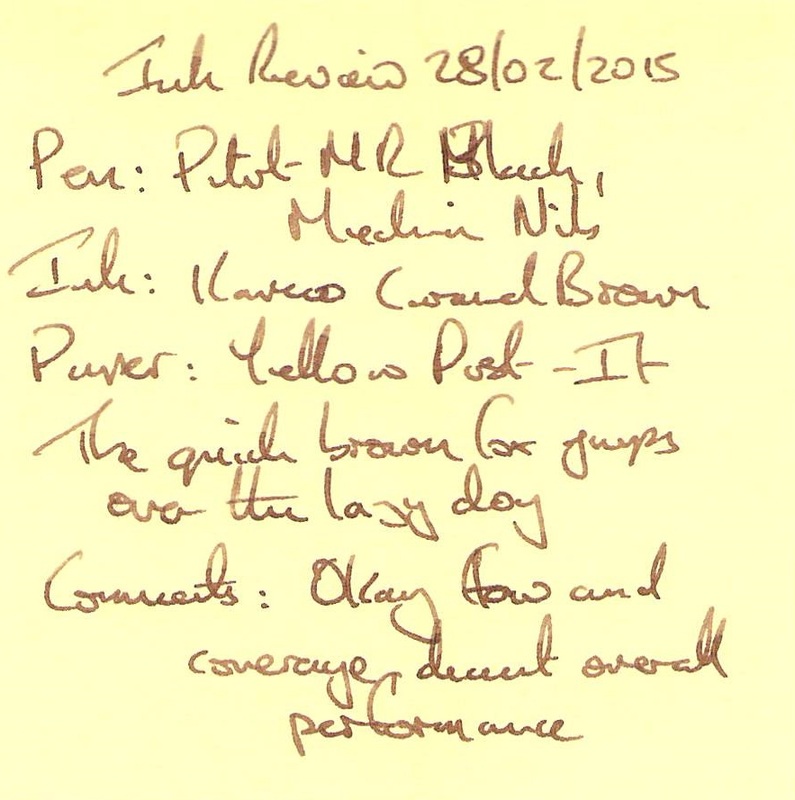 Ultimately it all comes down to taste and this ink doesn’t really appeal to me, but again the ink stands up as a good performer which can be relied on if you like the colour and the price.